We want to help, even if the bank says ‘NO’! Defaults and Bad Credit? Bank Says ‘No’? Have you been declined due to bad credit? You may need to speak to a bad credit home loan specialist at WhiteStar Group. Our mortgage brokers are experts in finding bad credit mortgage solutions. On our panel of lenders, there are certain banks who have more flexible lending criteria than others. We’ll help every step of the way, from application to approval. We negotiate with lenders on your behalf to ensure you have every chance to get approved. Your credit score might not be as bad as you think, and often, the best solution for you might not be one you see advertised. Have your situation reviewed by a specialist mortgage broker at WhiteStar Group. When you make an enquiry, we’ll help you identify options before you apply. This approach helps many of our clients get approved in unique circumstances. Making too many enquiries directly to the bank can negatively impact your credit score, so get the right information first. Complete the form below or call us on 1300 652 842 for a friendly chat. Recently, comprehensive credit reporting (CCR) was introduced and now banks have more information about your credit habits than ever. Read more about CCR. Speak to a specialist WhiteStar broker who has the experience and knowledge to really understand your situation before making an application. This can help your chances of approval. Can I get a home loan if I'm self-employed? There are many loan solutions available for self-employed Australians, in fact, there are more options than ever!. Are you self-employed and want a home loan or want to refinance your mortgage but are not sure how your working history is going to impact your application? Whatever your situation might be, contact WhiteStar and have a specialist broker review your options. Self-employed people are the backbone of the economy and getting rejected by a bank can be a big let down. Many lenders have low-doc home loan and low-doc refinance solutions that can allow the self-employed the same opportunities are those employed full time. I missed some repayments, can I still get a loan or refinance? Have you had late or missed payments on your mortgage? Over limits on credit cards? Late or missed payments on personal or car loans? A bank may say no based on poor conduct on current debts. This could have been because you were juggling and it was hard, it could be because there was a misunderstanding. Whatever the reason, it does need to be talked about. A good explanation is crucial to being able to help when there are missed or late payments on debts. A WhiteStar loan specialist will discuss what has been going on with your payments, then with their experience, they will review your situation to find the solution for you. The most important recommendation we can make is do not ignore these problems. Get onto them early so you can understand what your options are. The longer you struggle the harder it can be to fix it. Our team is non-judgmental, friendly and confidential. I can't prove my income, should I still apply? Having trouble proving your income for a home loan or refinancing? Heard “NO” from banks and feeling helpless? Don’t be! Talk to us and we can guide you with the loan process. WhiteStar will talk you through what paperwork will be used depending on the different lenders. Not all banks have the same lending criteria, some are more flexible than others. Talk to us about what you are trying to achieve and we’ll help steer you in the right direction. What should I do if my property valuation is too low? Has the bank valued your property too low? Have they said its too small or too big? Is the postcode restricted? Are you currently doing renovations or repairs? These are some of the reasons a bank may say “NO” because of a valuation. Each lender has their own valuation guidelines. Based on area, loan to value ratio, purchase or refinance etc. Some lenders will have higher valuations than others. The security is one of the most important factors to a lender. If they are not comfortable with the security they will not lend you the money you are wanting. So it is very important that before you make an application you discuss the property with your broker. This way potential concerns may be able to be addressed before a lender is chosen. Can you help me with a family pledge loan? Yes! We help many clients get a new home loan with a guarantor. A family pledge loan (also called a family guarantee loan) uses the equity in the home of a family member, usually your parents, as a limited security against the loan. When you apply for a family pledge loan, you still need to meet lending eligibility criteria and you are completely liable for servicing the full loan. One key benefit of using a family pledge loan is that you may be able to buy your first home sooner. Almost 54% of all loans in Australia are facilitated by brokers in Australia. 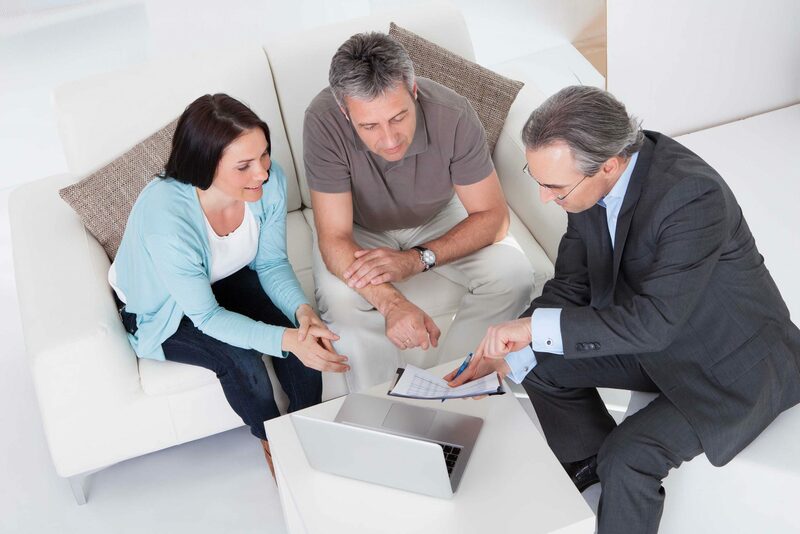 Brokers offer a personalised service which is often hard to find when you deal with a big bank. When you apply directly with the bank how do you know that you are getting the best rate possible? Chances are you don’t. When you work with a broker, you benefit because your broker will help you compare loans from different types of banks, big and small. Brokers also have the inside knowledge and experience to inform you which loan will give you the best chance of getting approved. All banks have different rules when it comes to lending. Some are stricter than others. Your broker can provide you with information about which banks suit your unique circumstances better. Unlike many brokers in Australia, WhiteStar Mortgage Brokers are paid a salary. They are not paid a percent commission directly by a lender and they are not paid based on the loan amount. This encourages a better service to you!